It’s a blue sky autumn day and Minna, Pop, Mom, and Dad have decided to go on an outing to Long Hill Orchard. As the bunnies fill their baskets, Farmer Miller teaches them all about apples. 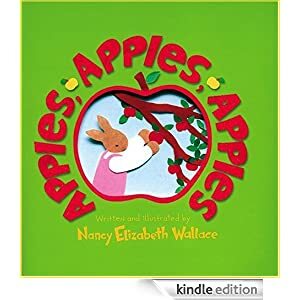 This charming story is filled with fun facts, activities, and an applesauce recipe. A Kindle Fire book for ages 3-7, this book is selling for only 99 cents today.